Allan R. Bevere: Google Street View and Hurricane Sandy-- Public Voyeurism or Raising Public Awareness? 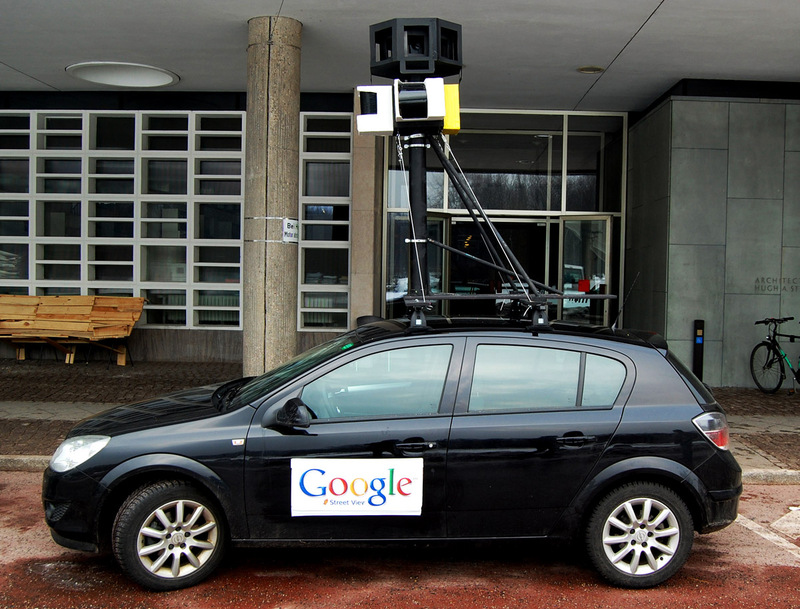 Google Street View and Hurricane Sandy-- Public Voyeurism or Raising Public Awareness? The folks at Google Street View have come under fire for sending one of its camera cars to snap photos of the devastation to publish as the latest pictures on Street Views of the devastated areas. Google states that their purpose is to update their maps and to help people understand the extent of the destruction wreaked by the hurricane. More than a few residents see it differently. They believe that the photos of the devastation will remain on Street View for an extended period of time and they do not want their community remembered in this way. Others think it is insensitive on the part of Google Street View. I don't know what to think about this. On the one hand, I am somewhat uncomfortable with it. It seems to me that caution is always the preferred posture when dealing with people who are undergoing tremendous suffering and whose lives have been totally rearranged. There is something unseemly about a vehicle driving around the streets taking photos of devastated dwellings where people lived and raised families, and where they have made memories. It seems prudent to refrain from such action. Nevertheless, we now live in the era of the smart phone where people can be photographed and filmed without their knowledge and where one can no longer assume that a private conversation is really private. ...there are those who respond that this is really no different from photo journalists recording on film the devastation of previous disasters years ago, which were published in the newspapers and shown on the evening news. This has been done for years. Why is what Google Street View doing any different? So, part of me thinks the folks at Google are being extremely insensitive, while another part of me says that this is the world we have now inherited and it is simply an extension of what has been done in the past. One thing is now certain-- we live in a voyeuristic culture of reality TV, the constant and casual and embarrassing postings on social media by those who have no idea they are embarrassing themselves with the technology now available (which indicates a deeper problem). We are able to insert ourselves in the lives of people in ways we never could before; and more than a few are willing to be viewed participants in such public voyeurism. I really don't like it, but I am not sure there is anything to be done about it. Disaster workers too often include this same type of person, sometimes refered to as 'trauma tourists'. The need to 'do something' prompts others to send things they think are useful or to show up to help... creating a second wave of challenges for an already overwhelmed community. 'Unsolicited donations' and 'spontaneous volunteers' often create a secondary disaster for legitimate responders who are (1) pre-incident trained, (2) deployed and supervised as part of a pre-existing team and (3) accountable and reportable within the incident command structure. Beginning when I was a child and then later in partnership as an adult, myself and my dad were legal/investigative/forensic photographers for various city, country and state entities. If you look at events like hurricanes, earthquake and tornado damage that covers broad areas, typically there have been aerial surveys done to map out and assess the extent of damages incurred. In those days, digital media did not exist. To calibrate images ad correct for film limitations, and to mosaic images together, was a painstaking effort and time-management nightmare. My dad learned the process in the Army Air Corps in 1939, with the Trimetrogon system, that uses a grid pattern, an assigned altitude, two oblique-view cameras on opposed angles, and a profile camera in the center to overlap the two oblique cameras for complete 180 degree coverage from horizon to horizon, and a slice of land about 10 miles thick at the assigned altitude. In his day, the oblique cameras wee Kodak K-10 aerial cameras, each frame was a high-resolution image that measured 8X 10 inches. The film was a continuous roll type in a spooled magazine,that was motor driven and calibrated with an intervalometer sychronized to the airspeed of the aircraft. Given the aircraft of his day, it snapped a picture with all 3 cameras simultaneously at approximately every 10 seconds. the approximate altitude was between 18-20,000 feet. As you ca see, damage assessment from an aerial perspective was costly, cumbersome, and also challenging. Weather especially is a factor, including clouds that obscured features on the ground. In contrast, the only limitation to a car a drivable road, and light. Cars on the ground will see details that aerial surveys might miss. The data collected is PROMISED to be used only temporarily, and upon resolving the damage done, new surveys will be done to record the recovery in a timely fashion. However,in all fairness to disaster response, some details may linger for some time. A good example, is the 9th Ward in New Orleans, Louisiana, which still languishes to this day in much disrepair. I visited there and photo-documented some of this destruction still there 4 years ago this week and month. That would not be Google's fault. I understand the emotional sentiments of the images that linger. However, it is not exactly appropriate to portray an area as if it still is in its pre-disaster state, when it is in fact not. One option is to toggle between the two, and show the past and present state of an affected area. Then, once the cleanup/repairs are done, new surveys are completed and posted. previous surveys could still be toggled for historical purposes, and provide adjunct information for those doing research for historical, demographic or even sentimental reasons. People ted to think of the worst-case scenarios first, and then eventually give room for reason and objectivity. I am confident that a good Public Relations appointee could make an effective case, and all will be well. I would like to hear your thoughts about my ideas!